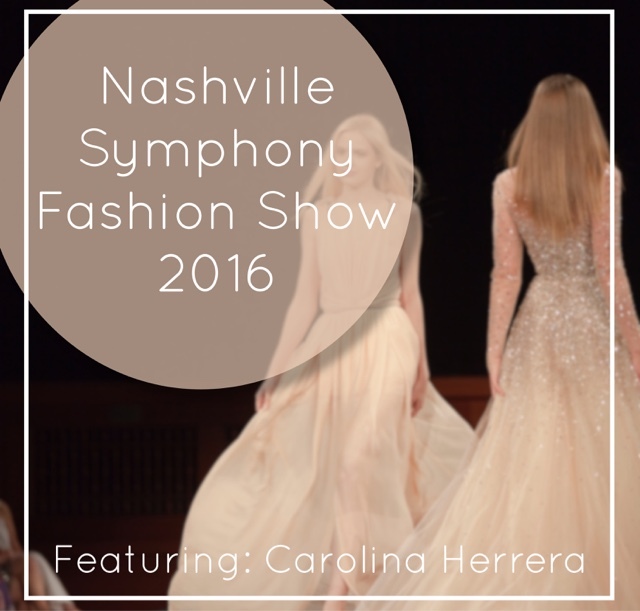 Last week I had the pleasure of attending the Nashville Symphony Fashion. 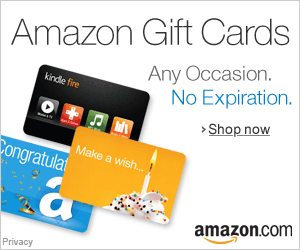 More than 750 people attended the annual fundraising event. 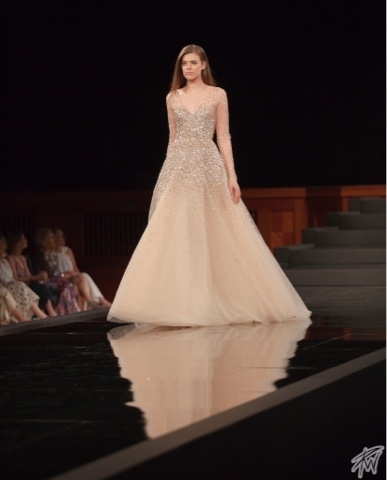 Money raised during the fashion show helps support the Nashville Symphony’s education programs that reach throughout Middle Tennessee. 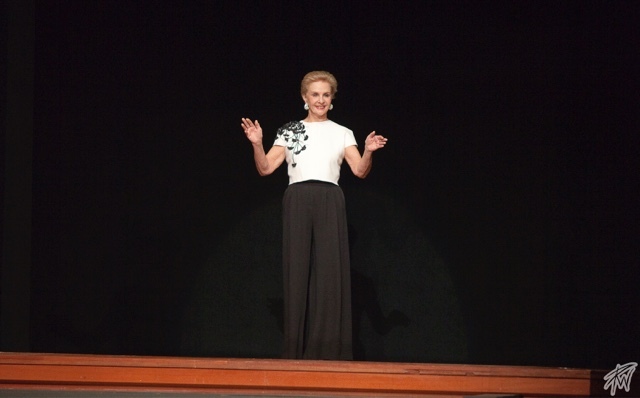 This year’s designer presentation featured the illustrious work of Carolina Herrera. The Fall 2016 line featured flowing gowns, tailored suiting, and intricate embroidery. Guests were treated to music by Sara Evans and harpist Clara Warford. Afterward we dined in delicious treats in the south lobby of the Schermerhorn Symphony Center. This event was a great kick-off to the spring social scene. The audience was very lively as they ooh’d, aah’d, and cheered for their favorite looks and favorite models. Below I share some of my favorite looks from the night’s event. So let me preface this by saying Carolina Herrera is one of my FAVORITE designers. So when the lovely folks at the symphony allowed me to come witness this amazing presentation, I couldn’t be happier. Straight out the gate Ms. Herrera hit us with the white wool and crepe looks. The audience IMMEDIATELY gasped as cell phone cameras started flashing. We were ready! Next, she gave us some traditional fal looks with a twist. 3D print embroidery? Organza lined mini skirts? Double faced wool? YES GIRL YES! When I saw these designs I was ready to fast forward through spring & summer and fly into fall. I’ll take that square motif poncho, thank you very much! This magenta was even more beautiful in person! Then, then, THEN – she hit us up with the magenta realness! Like, how can you look so fierce but also look like you are floating in a field of chic butterflies. From work-wear looks, to date-night, and evening gowns, Ms. Herrera never failed us. Also, can we clap it up for Nashville’s models! These ladies were stepping, twisting, and TWIRLING. That runway was super long and those girls stomped it out. I love the diversity as well. You go, Nashville, you GO! 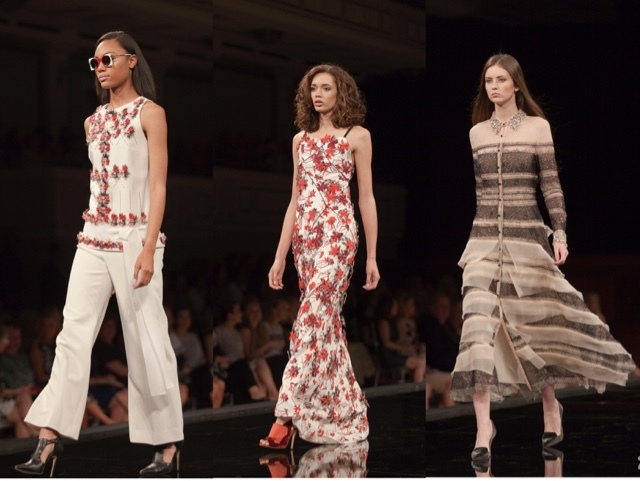 Next up we had some nods to spring with rose appliques and light ladylike separates. I was surprised to see these amazing pants as well. Pockets are my JAM and she didn’t fail me by giving me pockets on everything! The final look of the night . . . chiffon gown and it had pockets! Last, but certainly not least was this GORGEOUS beaded chiffon gown. Guys, it had pockets! and it was like Cinderella was waiting to get her uber, so she had pockets for her phone. Like it was so fly. When the model came out the whole audience gasped. That’s when you know you won. The show featured 39 looks that all need to live in my closet (in plus-size of course). Really though, Ms. Herrera gave us her best with this show. I’m so happy that she agreed to showcase her 35th year of fashion with Nashville.